I’m always up for trying delicious new recipes, especially if they are easy to make. 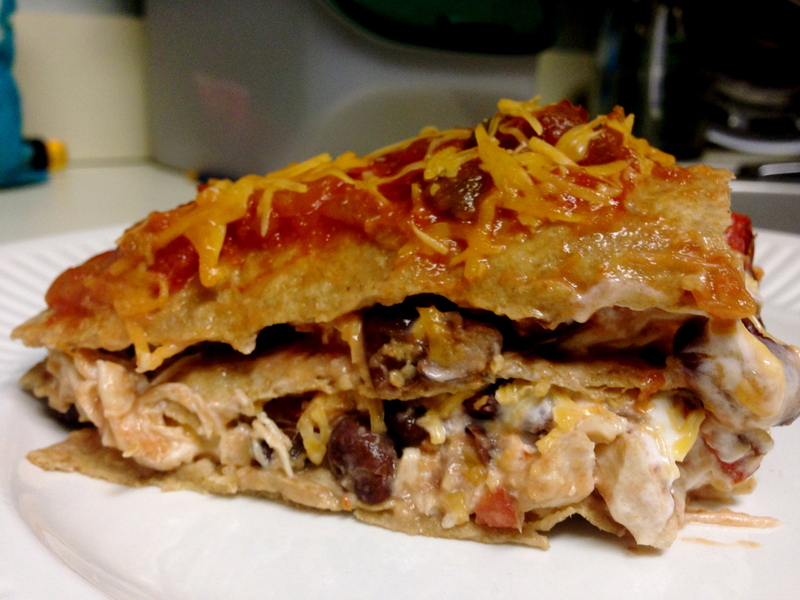 Behold this Mexican Lasagna! When you’re in a cooking rut or don’t have time to make regular Lasagna, this alternate is a great option! 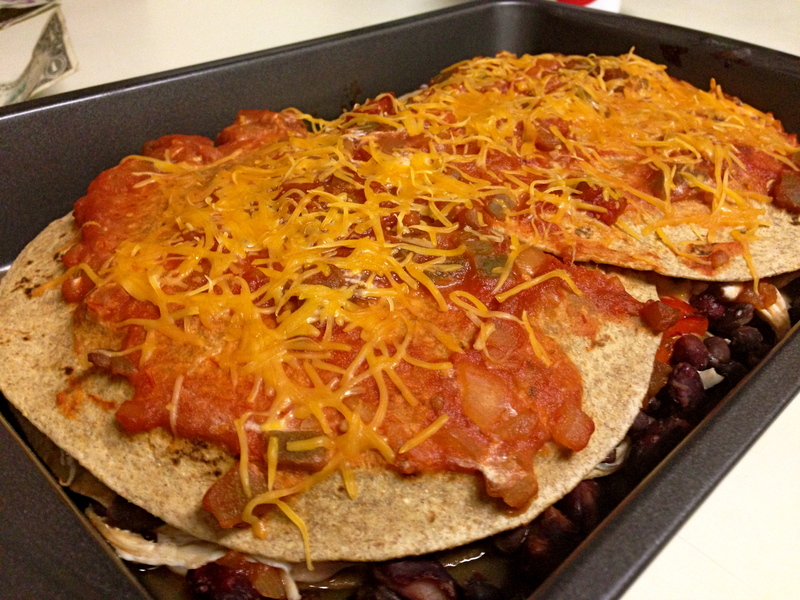 Filled with chicken, cheese, beans, salsa and Greek yogurt, this dish is hearty and a good balance of essential nutrients. The creator of this dish uses Greek yogurt instead of sour cream and I used reduced fat cheddar cheese to amp the nutrition. You could also make this vegetarian by omitting the chicken. My favorite part of this dish is how easy it was! You’ll notice that I say that about a lot of the recipes I make because that is definitely a priority to me. To make this super simple, I boiled the chicken in water for several minutes before shredding it. Then all you do is layer the ingredients, bake and voila! A delicious meal in minutes. To get the full recipe, visit this page and continue reading fANNEtastic Food. She is a great resource for all things healthy and nutrition related. Enjoy! Wow this looks so good Allison! Me and Ashley can’t wait to try! Thank you for the link love! 🙂 So glad you loved the recipe!